Ocean Confessions is a headphone piece, experienced at the edge of the sea, at night. It uses spoken word, orchestral composition, and a live mix of the waves lapping at your feet. Ocean Confessions began as a response to Hikkaduwa, Sri Lanka, during our residency at Sura Medura. The sea is very present in Hikkaduwa, from the age-old lifeline of fishing, to the devastation of the 2004 tsunami, to the modern industries of sun and surf tourism. 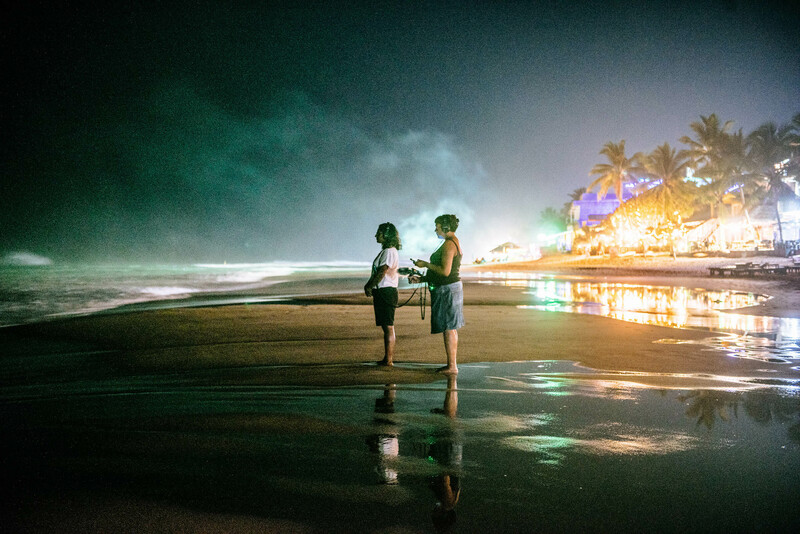 We spent time talking to locals and thinking about the Hikkaduwa shoreline, what it meant for us to be standing there, listening in and looking out. It led us to reflect on the relationship between humans and the sea more broadly, through time, and also across borders. 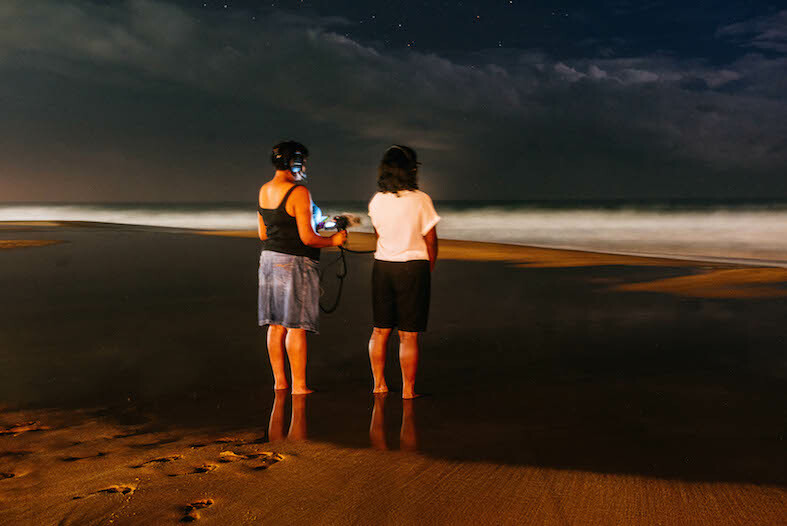 We tested a prototype version of Ocean Confessions, which invited one person at a time to stand on the shore at night, just where the waves might reach their feet, wear headphones, look out to the horizon, and listen. We hope we’ll have a chance to develop this piece further, for other night skies and shorelines around the world. Big thanks to Brian Hartley, who was one of the artists on the residency with us, for taking these lush long exposure night time photos of us testing the prototype in Hikkaduwa. Initial development whilst on residency at Sura Medura, Hikkaduwa (February 2018).